Jimmy Kimmel’s awesome rant about parents who won’t vaccinate their kids… plus the PSA his crew put together using actual doctors. Great stuff! Lots of humor regarding a serious issue that always has me shaking my head in dismay (and disgust). From Ruben Bolling… on-target for so many topics. Newsweek has an article today titled The Long Term Evidence for Vaccines and it does a great job showing just how important vaccinations are and how vaccinations provide invaluable benefits to children. 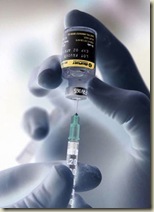 Throughout North America and Europe, an anti-vaccination movement has steadily grown over the past two decades, and was recently jet-propelled amid anxiety over immunizing pregnant women and children against the H1N1 “swine flu.” The greatest fall-off in child vaccination, and the strongest proponents of various theoretical dangers associated with vaccines, are all rooted in wealthy, mostly Caucasian communities, located in the rich world. At a time when billions of people living in poorer countries are clamoring for equitable access to life-sparing drugs and vaccines for their families, the college-educated classes of the United States and other rich countries are saying “no thanks,” even accusing their governments of “forcing” them to give “poison” to their children. …but goes on to lay out the evidence regarding the importance of both childhood vaccinations and vaccinations for pregnant women (for the benefit of the unborn child). Other vaccine-preventable diseases—measles, rubella, mumps, chickenpox, and whooping cough—can damage the optic nerves and hearing of fetuses and newborns. The effect in these cases is immediate and obvious. In the pre-vaccine era in the United States, a thousand kids lost their hearing every year due to measles infection, five out of every 10,000 children who contracted mumps suffered permanent deafness, and 10 percent of child deafness was due to rubella (a.k.a. German measles). And today, in countries with spotty child-immunization achievements—including the United Kingdom—viral infection in utero or in infancy accounts for 10 to 25 percent of child deafness. There’s plenty more information in the article and it’s definitely worth a read, especially for those who may be unsure about whether to vaccinate their children and need some convincing. What happens when people choose not to protect their children with the appropriate vaccinations (or choose not to get vaccinations themselves)? We lose the “herd immunity” protection that helps keep potentially deadly diseases from affecting those who cannot get the vaccines due to age or health reasons. Refusing vaccinations for communicable illnesses (measles, mumps, rubella, polio, pertussis, flu, etc) is not only irresponsible, it’s potentially deadly and puts the general population at risk for illnesses that were all but nonexistent in developed countries… before the anti-vaxxers started their campaign of misinformation. The unimmunized few are a threat to all, as they may harbor viruses and pass them onto others whose vaccine-induced immunity is waning due to HIV, cancer, or simply the passing of time. Conversely, failing to be immunized in childhood renders young adults vulnerable to infectious diseases that they may not encounter until they go off to college or travel outside of their home regions. Vaccines are one of the most effective and important scientific advances in medical history. They have saved countless lives and continue to protect our population from potentially deadly or debilitating diseases. Due to the misinformation that is frequently spread regarding vaccines, however, the frequency of childhood vaccinations has been declining, threatening not only the health of the children, but our herd immunity that is so desperately needed to protect those with compromised or weak immune systems. Yes, the proper adjective [for vaccines] is “precious”: miracles of science that, combined with smallpox immunization, saved more lives during the 20th century than were lost in all the wars, all the genocides, and all the epidemics of that hundred years. When a baby in an African village dies of measles, or a schoolchild in China succumbs to typhoid fever, none can question how precious that lost life was, or how vital a difference a vaccine could have made. Get your children (and yourself) vaccinated. Newsweek has a great article addressing all the misinformation flying around regarding the H1N1 vaccine. It’s definitely well done and worth the time to read, if only to counter those folks who cry about conspiracies and dangers and government plots to use vaccines to control your mind by enslaving you with a thought-control drug and giving you Guillain-Barre syndrome. Vaccines are a critical tool in our medical arsenal to combat illness and death. Major diseases have been all but eradicated from the face of the planet due to vaccinations and others have been reduced to the point of near insignificance because of the effect of herd immunity in the world population. Phil Plait of Bad Astronomy has a great rundown of articles about the benefits and safety of vaccines, including Gardasil, the relatively new HPV vaccine. Here are the summary points from the Newsweek article about the H1N1 vaccine. The vaccine does have some risks – the same risks as the seasonal flu vaccine. Except for the virus, it is functionally identical to the vaccine that’s given every year. The multidose formulation of the vaccine contains thimerosal, which prevents contamination. Some have accused thimerosal of causing developmental disorders in children, but scientific evidence doesn’t support this. The vaccine does not contain squalene, which has been accused – also without good evidence – of causing Gulf War syndrome. There’s no reason to believe that a vaccination would cause Guillain-Barre syndrome. GBS was associated with several hundred flu vaccinations in 1976, but there’s been no evidence of an association since then, despite close monitoring. While it’s true that a Navy vessel was prevented from deploying because of a flu outbreak, that had nothing to do with the vaccine, which hadn’t been developed at the time. And there were no deaths aboard the ship, as some e-mails claim. Read the whole article to hear some of the crazy misinformation flying around… and the actual facts that show why it’s crazy. If you think vaccines are an evil conspiracy, are designed to make us sick, are filled with toxins, are a bad thing, then spend 6 minutes and 53 seconds educating yourself. Yesterday, while searching for some information on climate change, I happened upon a blog called The Way Things Break and was delighted. Not only did I find the information I was looking for, but I found all kinds of content related to the shenanigans of the anti-science crowd. Pretend as though claims made by an individual, conclusions of a single paper, etc. are actually the underlying science, so as to hold up any disagreement or revision as though it is evidence that the core science is somehow incorrect; alternatively, pretend such ‘one offs’ are definitive rebuttals to the core science. Pretend as though areas explicitly acknowledged to be in need of further study are actually the underlying science, so as to hold up any disagreement or revision as though it is evidence that the core science is somehow incorrect. Pretend that a non-representative sample selected so as to give the appearance of disagreement with the conclusions of the core science is evidence that the core science is somehow incorrect. Pretend that the mere presence, absence, or relative amount of a substance is somehow a legitimate rebuttal to the real world effects (if any) it has been demonstrated to have. Pretend that the existence of media hype, past examples of pseudoscience, etc. are somehow a legitimate rebuttal to the science. 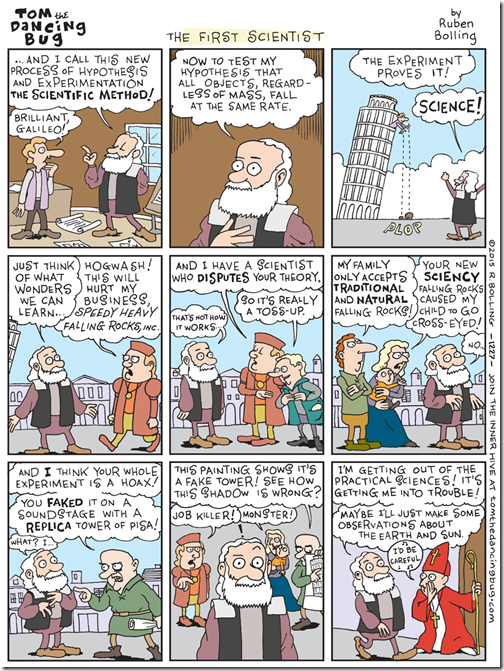 Pretend non-sequiturs [Evolution can’t explain how life started!] are somehow a legitimate rebuttal to the science. 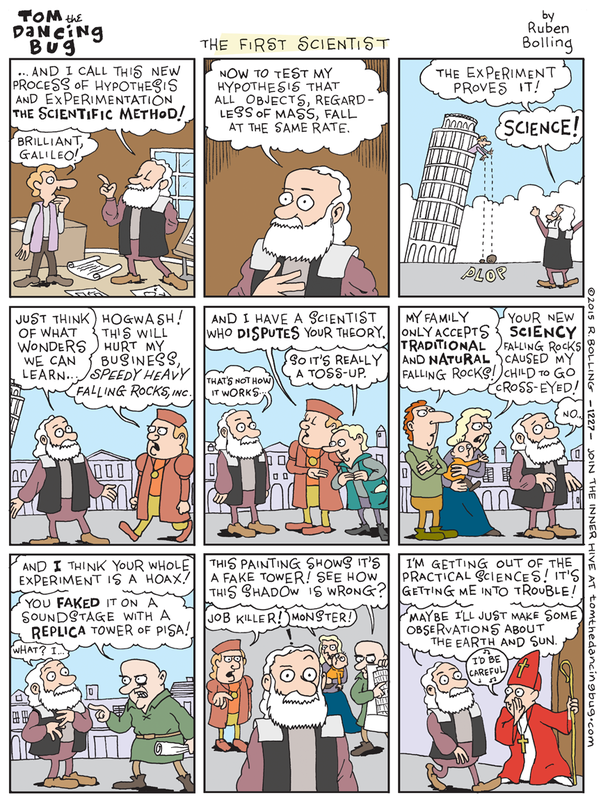 Pretend lay misunderstanding of the science is somehow a legitimate rebuttal to the science. Pretend that personal ignorance or disbelief of the science is somehow a legitimate rebuttal to the science. Pretend to be “skeptical” rather than anti-science. I think I’ve seen almost every one of those points used at one time or another, whether used to deny evolution, climate change, or vaccinations (among other things). To augment my disgust with anti-vaxxers like Jenny McCarthy, I’d like to provide this link to JennyMcCarthyBodyCount.com. Not only does it highlight the vaccine-preventable illnesses and deaths, but includes information and links about both vaccinations and the anti-vax movement. Give it a visit and help show anti-vaxxers that their dangerous and ignorant actions are unacceptable.